When did the hype start? 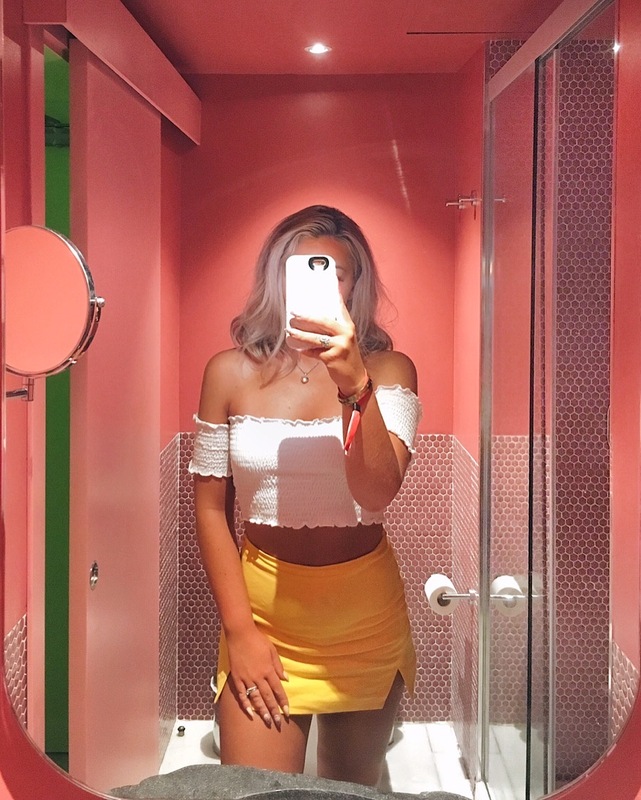 Maybe first appeared on my radar when Yasmine Chanel and Sarah Ashcroft went there on an instagrammable holiday together, and correct me if I'm wrong but I think this was when Tropicana was christened THE hotel to take pics in and 'Thou Shalt Pose at the Cocktails and Dreams Bar' became one of the ten blogger commandments. Meanwhile, Missguided shot their summer campaign there. Being someone who regularly stalks Missguided's website I clocked this and added it to my bucket list - along with everybody else apparently, including Olivia Buckland. Are there any brands that aren't doing a press trip to Ibiza this year? Not that I can see. While we were there, Quiz clothing were doing their summer shoots with a group of bloggers for their Lost in Summer Campaign While we were there, Bondi Sands and I Saw It First were also bring bloggers into the sun for press. Ibiza seems to be the only place to tan this year. When me and the girls were planning our holiday, Tropicana was the top of our list of places to stay and honestly we were not disappointed. Like literally it's stunning and you'll want to move in. Location is great, near the beach and walking distance to Sankeys, Hi and Ushuaia. The room was just as pretty as the rest of the hotel, a pink tiled bathroom and a smeg fridge with mini bar. The hotel is part of the concept hotel group, meaning that when you stay, you also get entry to their other hotels included: Santos and Dorado which are right on the beach. These also have amazing decor and super chill vibes for tanning, sleeping off a hangover in the sun, or recreating Kendall Jenner's insta posts. If it's not clear enough, I highly highly recommend it. Thanks for reading!